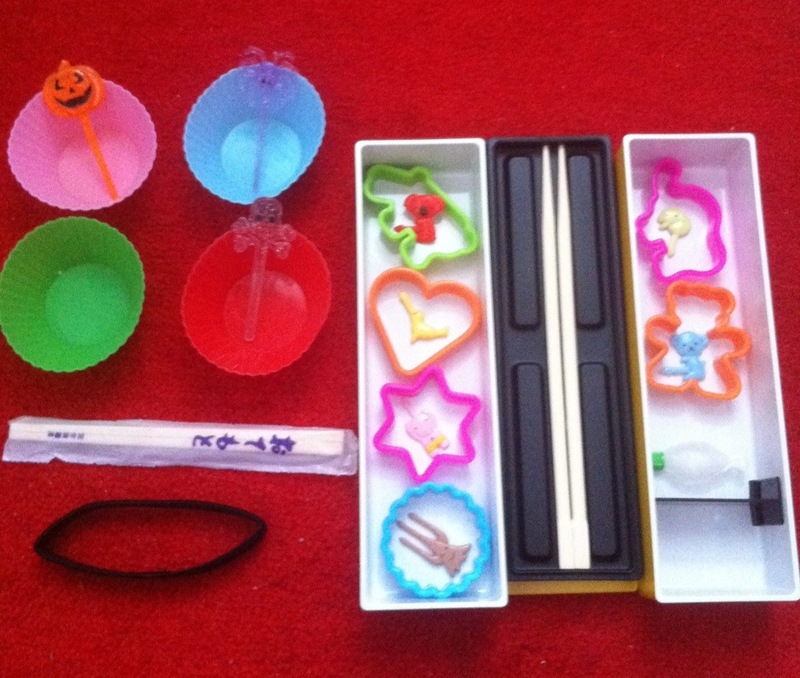 My little cousin decided after seeing my bento he wanted to have a go at making his own. So we scoured the Internet in search of a box suitable for him. Unlike me he isn’t into cute, girly boxes so it took a bit of time. We finally found a great, not so little box on amazon for an amazing £8! 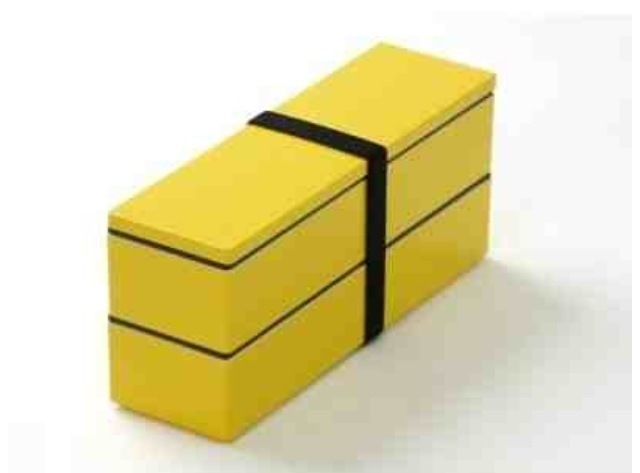 The box is two tiered, 900 ml and a very sturdy box. Even though it is bright yellow it still looks fairly masculine and modern. As we bought the box through my amazon account the item was delivered to my address and took an amazing 2 days to come, made more amazing by the fact there was no delivery charge! When the box arrived I thought it would be nice to give him a little help. So I rummaged through all of my bento equipment and anything I had multiples of I put into the box for him. my wife uses a similar bento, and I always make fun of her bento, she just throw those frozen microwaveable stuff in it. I called it rock bento, which is very popular , coz it makes bento making so quick. Maybe, ill post her bento sometime, although she already feels bad looking at how pretty your bentos are. I’ve seen those microwaveable foods, they’re genius! We don’t really have them in the uk. We have frozen food but not in clever portions haha. Don't have Wordpress? Follow by Email!